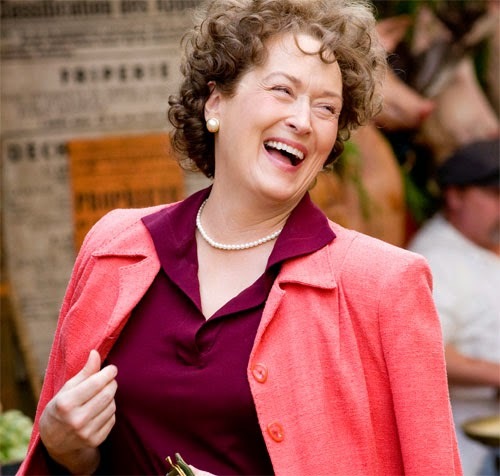 I love Julia Child and I love Meryl Streep .....So I obviously liked the movie Julie & Julia (2009). I think every foodie, food blogger should watch it! 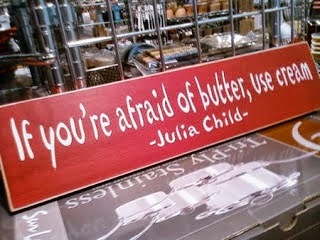 Of course I wish it had more about the life of Julia Child but it was a great watch none the less. 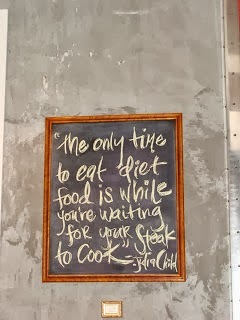 In fact this movie has inspired so many people to start writing their own food blogs. 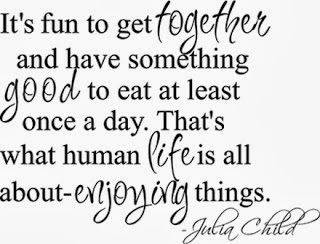 For the uninitiated Julia Child was an American chef , author and television show host. 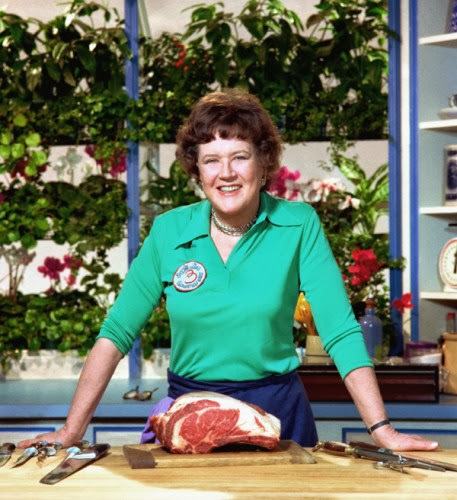 She taught Americans to love food and take pride in making it in the 60s with her debut book Mastering the art of French cooking. 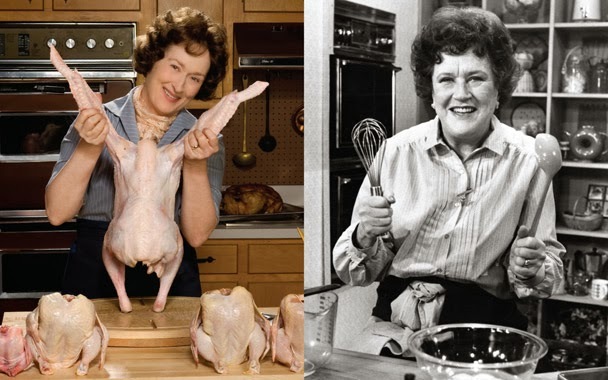 So going back to the movie it talks about how Julia Child a bored house wife started cooking at the age of 32 by enrolling at the Le Cordon Bleu in Paris in 1950 and in parallel talks of Julie Powells life in 2002 a bored secretary who takes on the challenge of cooking 524 of Julia Childs recipes in 365 days in her tiny apartment kitchen and then blogs about all her cooking experiences . 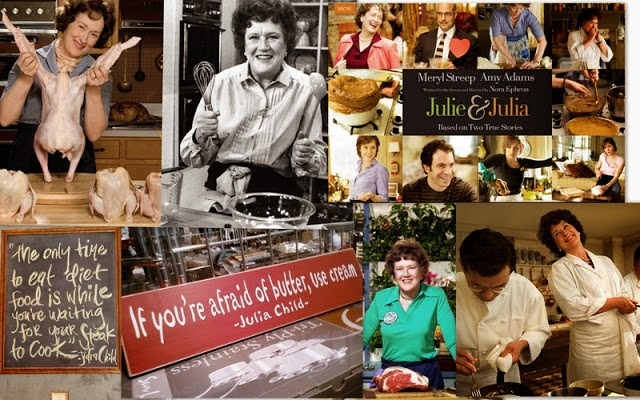 So two great women whose lives take on entirely new meaning when they discover that with the right combination of passion , fearlessness , butter and cream anything is possible.